When shopping for a new car, it’s always too easy to let your emotions do the shopping. After all, you’ve been fantasizing about that red convertible for how long? For most people, a car is the most expensive purchase they’ll make aside from their house. So, keeping this sobering thought in mind is a solid step toward reining in those emotions. Common sense dictates that you’ll want the lowest interest rate possible regardless of whether you’re buying a new or used car. After all, the ultimate goal should be to pay off your car with the least amount of money in the least amount of time. 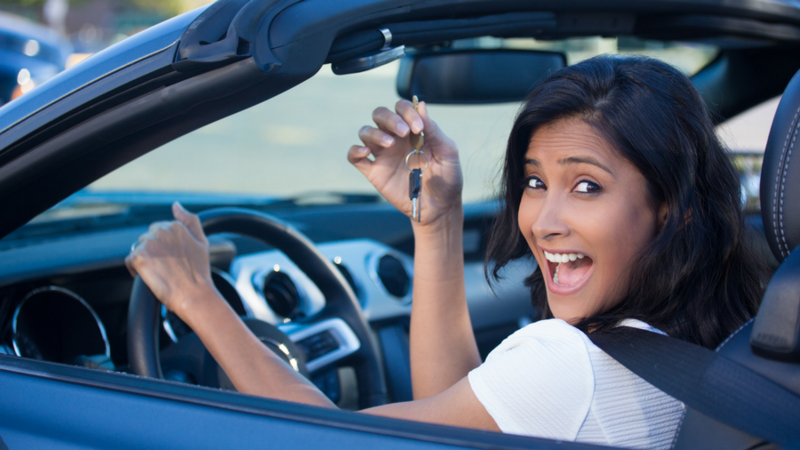 Obtaining a great low interest-rate loan starts way before you hit the showroom. It begins at home with an assessment of both your financial situation and what you really need in a car. The first thing to do is take a look at your credit report. You’ll want to have a good idea of where you stand before you talk to your credit union loan officer. The better your credit, the more financial program choices you’ll have. If your credit is borderline and you have some time before you need that new car, invest some time to clean up any possible problems. Next, it’s important to figure out what you can afford before shopping around. One good rule of thumb is to spend no more than 10% of your total earnings toward your car expense. Another good rule to follow is to finance no more than 80% of the price of the car. If you finance more than 80%, you may find yourself owing more on the auto loan than you could get by selling the car or trading it in. You’re only ready to start shopping for your car and auto loan once you’ve determined how much you can spend on it and how much of a down payment you can make. Using your head first instead of letting your emotions lead you, may not put you in that red convertible you’ve been dreaming of now, but the financial payoff from saving money might get you there a little later. Thanks for your comment about how you should get a car loan after you make sure you have a good credit score. I like how you said that you need to be able to pay for the loan you are applying for. My husband is looking into getting one for his used car; thanks for your tips to prepare for it! Hi Ashley, thanks for your comment. Glad we could help! My husband and I really want to buy a new car, but we don’t know what to do to get a good auto loan. Thank you for all the tips on what we can do to make sure we get a good loan. I think that is a great idea to make sure we know where we stand with our credit score before we go looking for a loan. Thanks for the tips for getting a good auto loan! My wife and I want our first car because we’re sick of taking the bus everywhere. I’ll be sure to make sure we both check our credit scores to see where we’re at. I think we’ll both qualify for a good rate. Hi Ridley, glad we could help! Thank you for pointing out that it is important to figure out what you can afford before you start shopping around. My husband is needing a new car but I don’t think we can buy one without getting a loan. I’ll have to look into the best place to get an auto loan. Thanks for mentioning that the better your credit, the more financial programs you can use to apply for an auto loan. My friend wants to buy her very first car soon, so these would be some great tips for her. I’ll totally share this article with her. Is there anything else she should keep in mind? Hi Bethany, glad to hear you liked the article! We also have this article that helps to answer whether you should buy a new or used car https://directionscu.org/2017/03/23/new-auto-loans-used-auto-loans/ . Our friends at FoolProof also have a great car buying guide which you can view here http://foolproof.directionscu.org/buying-guides/car-buying-guide . I really like your point about how people should spend no more than 10% of their total earnings toward their car expense. My son recently got promoted on his first job right after uni, and he’s really feeling confident that he’s ready for his first car. I’ll be sure to share this tip with him so he won’t go overboard with his first automobile loan. Thanks! I am glad you said that the first thing to do is take a look at your credit report. I want to buy a car. Thanks for the tips on successfully getting auto loans. Fabulous blog you have written, it has enhanced my skills and will be helpful in the future. I am very thankful for you because you have provided us best knowledge about auto loan. Thanks, always happy to help! I really appreciate your tip to try and know what you can afford before you start shopping around. My wife and I have been thinking of getting a new car so we can give our son our old car. I will be sure to tell my wife that we should make sure that we know what we can afford! Thanks for the tip about spending no more than 10% of your earnings on a car loan. It would make sense to plan this out before you even seek the loan in question. I need help getting financing for a car I want to buy, so I’ll have to remember the 10% rule. I thought it was interesting how the article talking about looking at your credit report before getting an auto loan because having better credit can open up more financial choices for you. When I was driving on the freeway last week my muffler fell out of the bottom of my car, and I decided I wanted to try and buy a new car to replace my current one that is falling apart. I would want a newer car, so I will check with a loan officer and determine if I can get a loan for one.